April 16 –In an apparent effort to kickstart agency action on updating permissible exposure limits for hundreds of chemicals, the Occupational Safety and Health Administration asked the White House April 15 to approve a request to gather information on ways to address chemical exposure. OSHA cited widespread agreement that the majority of the agency’s exposure limits are decades out-of-date and need revising. But agency attempts have gone nowhere since a 1992 appeals court decision scuttled a blanket measure on exposure limits for nearly 400 chemicals. The specifics of OSHA’s request for information (RIN: 1218-AC74) won’t be publicly available until the White House Office of Management and Budget completes its review. Agencies typically issue formal requests for information in the context of setting up future rulemaking, but OSHA may be soliciting views on a range of alternatives. “I think they’re interested in any and all suggestions,” Scott Schneider, director of occupational safety and health for the Laborers’ Health & Safety Fund of North America, told Bloomberg BNA April 15. The problem of outdated exposure limits seems to need a creative solution, given the legal, political and practical restrictions that OSHA faces. Working on exposure limits one chemical at a time is nearly impossible given the agency’s limited resources, said Aaron Trippler, director of government affairs at the American Industrial Hygiene Association. Changing the law to update the limits and amend the process to make it easier for OSHA to update the limits moving forward is complicated by the reality of Congress actually drafting, introducing and passing legislation, Trippler said. OSHA has tried non-regulatory efforts to mitigate the potential for worker harm that results from out-of-date exposure limits. In October 2013, the agency launched a pair of online tools to help employers substitute safer chemicals and use more protective exposure limits on a voluntary basis. Some employers have been using exposure limits that are more protective than OSHA’s as a matter of good practice or by agreement in union contracts, Jim Frederick, United Steelworkers’ assistant director for safety and health, told Bloomberg BNA April 15. But Frederick said OSHA-enforced limits create a level playing field for employers, since competing businesses all have to make the investments to meet the same limit, and for workers, who would be afforded the same degree of protection no matter where they work. OSHA has permissible exposure limits for various forms of about 300 chemicals, established in 1971, that are based on science from the 1950s and 1960s. In 1989, the agency issued a rule that revised 212 existing limits and established 164 new ones. But that rule faced a legal challenge from industry, which said the limits were too stringent, and from labor, which said some were too weak. The U.S. Court of Appeals for the 11th Circuit vacated those limits in a 1992 decision on the grounds that the agency failed to demonstrate sufficiently that they were necessary or feasible (AFL-CIO v. OSHA, 965 F.2d 962 (11th Cir. 1992)). The agency resumed enforcing the 1971 limits. In the wake of that decision, OSHA began work on trying to prioritize chemicals for revision, said Charles Gordon, a former Labor Department lawyer who worked on the exposure limit issue for the agency. OSHA started with about 20 chemicals, Gordon told Bloomberg BNA April 16, and finally settled on four. Despite completing risk assessments and feasibility analyses for those chemicals, the agency never issued new limits. Gordon said OSHA also discussed the possibility of negotiated rulemakings, which would feature advisory committees overseeing updates to chemicals divided by groups, either by health effects or industries affected. But nothing came of those discussions, Gordon said. Industry has been involved in developing solutions. In 1998, the industry consulting group Organization Resources Counselors Inc. started working with OSHA on a proposal to bring together labor, industry and other interested parties to help guide rulemaking on updating exposure limits. However, the push to revise the 1971 limits ground to a halt during the Bush administration due to a lack of agency interest, Peg Seminario, the AFL-CIO’s director of safety and health, told Bloomberg BNA April 15. OSHA under the Obama administration–and agency head David Michaels–revived the effort, soliciting input in 2010 at a stakeholder meeting and through a Web forum. The agency added the request for information on its fall 2011 regulatory agenda, although it took more than two years to finally develop and send it to the Office of Management and Budget for approval. OSHA published its last request for information about a month after sending it to OMB for review, although that request on potential updates to the process safety management standard is directly connected to the White House’s efforts to improve chemical safety. The issue of permissible exposure limits doesn’t appear similarly linked to any White House initiatives. Should the agency decide to move forward with rulemaking on updating the exposure limits, it would be a long process that would probably require the commitment of whoever takes over the White House after the 2016 presidential elections. The Government Accountability Office found OSHA rulemaking took an average of more than seven years. “I don’t see why this would go faster than any other rule,” Sidney Shapiro, a law professor and regulatory specialist at Wake Forest University, told Bloomberg BNA April 15. 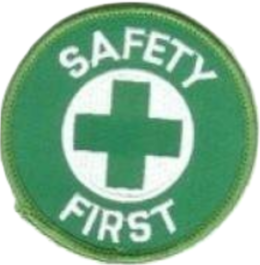 ‹ PreviousDo Your Employees Have Basic First Aid Training?